Benchmark Refreshment Services, LLC is a full-service vending company servicing the northwest suburbs of Chicago. We offer a wide selection of brand name products, including healthy choices. 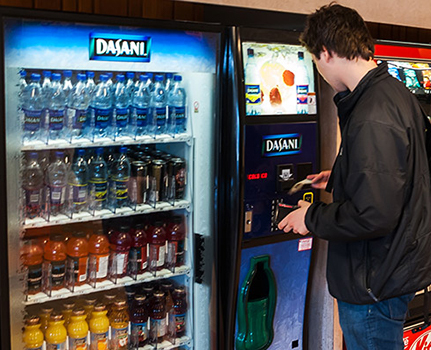 Our vending machines are clean, modern, well-maintained, and affordable. We can handle all your vending needs.. We are willing to customize all of our services to best cater to our individual client preferences. Call us today!